Remember the days when you were forced to choose between dessert and booze? 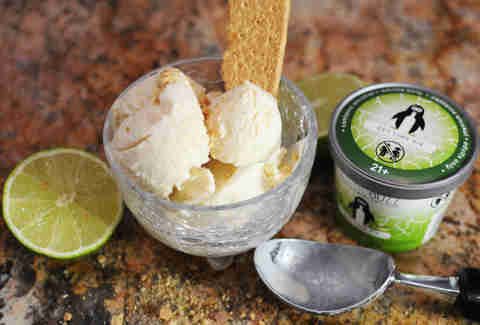 That’s all but a distant memory now, thanks to ice cream company Arctic Buzz. The Baltimore-based ice cream churner is making dessert taste like a late-night snack binge by fusing ice cream and booze into a singular dessert that will actually leave you buzzed. While ice cream makers like Haagen Dazs, Tipsy Spoon, and others have unleashed various cocktail-flavored ice creams in frozen food aisles across the country in recent years, Arctic Buzz focuses on spiking its ice cream flavors with just one spirit: vodka. And unlike other alcohol-infused ice cream lines, the company’s flavors pack a whopping 8.6% to 8.9% alcohol content (about one and a half beers). In comparison, Haagen Dazs’s spirits line advertises an ABV of 1%. In other words, you’ll taste it and feel it. You also have to be 21 or older to buy the stuff. 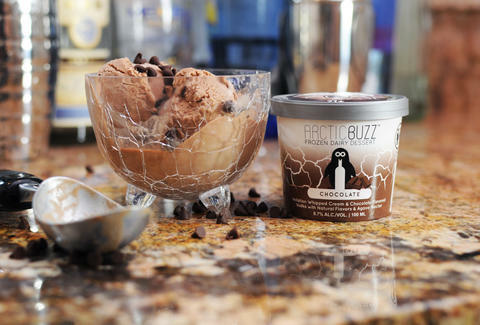 Arctic Buzz teamed up with a local Maryland distillery, which produces vodka specifically for each of its six ice cream flavors. For example, the cookies and cream ice cream flaunts a cookies and cream vodka while the raspberry ice cream features raspberry vodka. The company has also launched key lime pie, vanilla, coconut, and chocolate ice creams, with plans to unleash a pumpkin spice flavor for the fall and additional festive flavors for the holidays this winter. Each flavor is packaged in a small container of about 100ml, or about a quarter of your typical pint. Although making alcoholic ice cream is similar to traditional ice cream -- each has a comparable base -- Pilarczyk confirms that there are a couple of secret ingredients that allow the vodka in the ice cream to freeze. Unlike traditional ice cream, the process for Arctic Buzz’s ice cream takes five days, much longer than regular ice cream. For now, Arctic Buzz is only sold at liquor stores in Maryland, but the company said it plans to expand into a number of states outside of Maryland in 2018, as well as investigate shipping out of state. Until that happens, you’ll have to keep making those tough snacking decisions, or else just drink your vodka with a hefty scoop of ice cream. Amy Schulman is an Editorial Assistant at Thrillist who’s 95% chocolate ice cream. Follow her on Instagram.